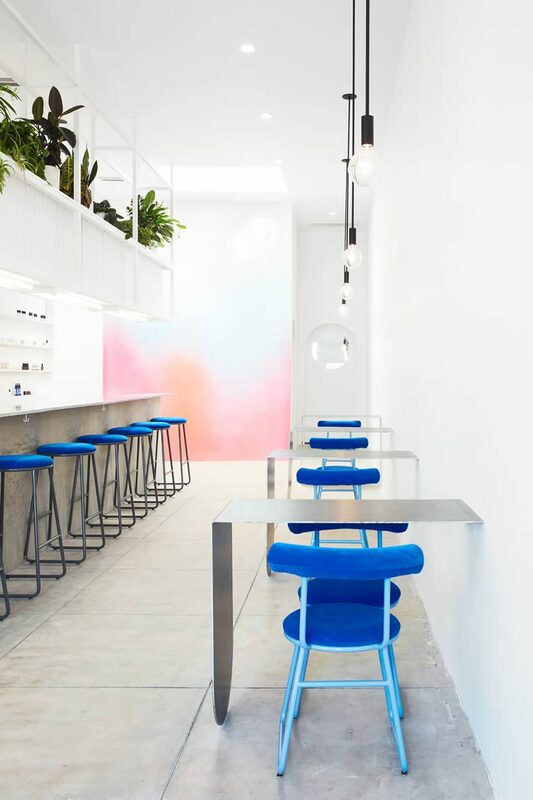 Los Angeles nail bar Color Camp is a crisply-styled salon where the design aesthetics make as much a statement of candy-coloured as the bold designs applied to your nails. 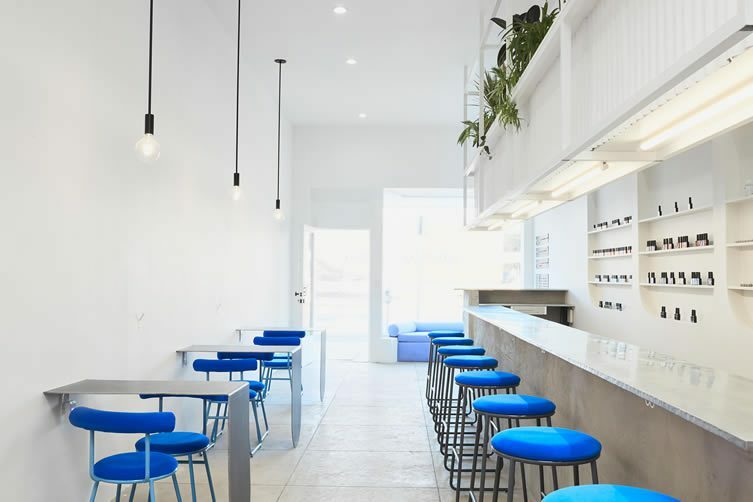 Located in the city’s Fairfax District, architect J. Byron-H collaborated with Weekday Studio to create bracing interiors that evoke a smooth sense of the whimsical, ensuring that this manicure spot firmly stands head and shoulders above the crowd. 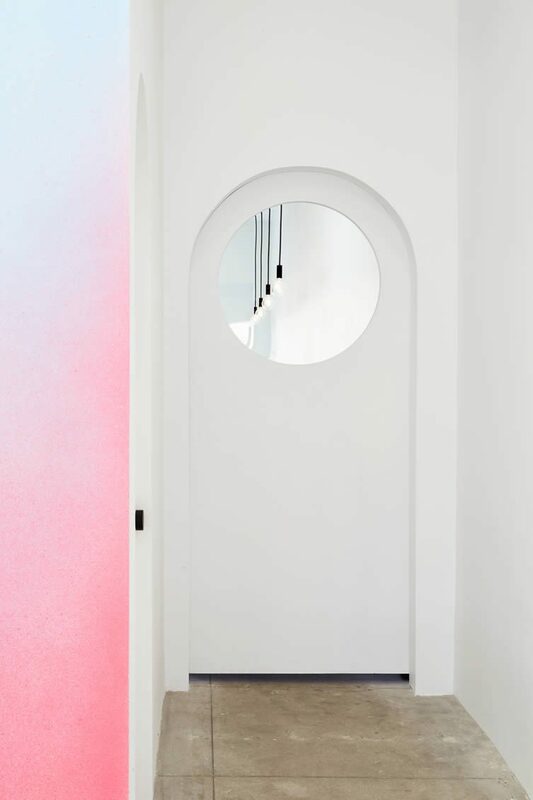 Overcoming the challenge of making what was a narrow space feel welcoming, a stark white space is brought alive through the use of bold shapes and pops of colour. 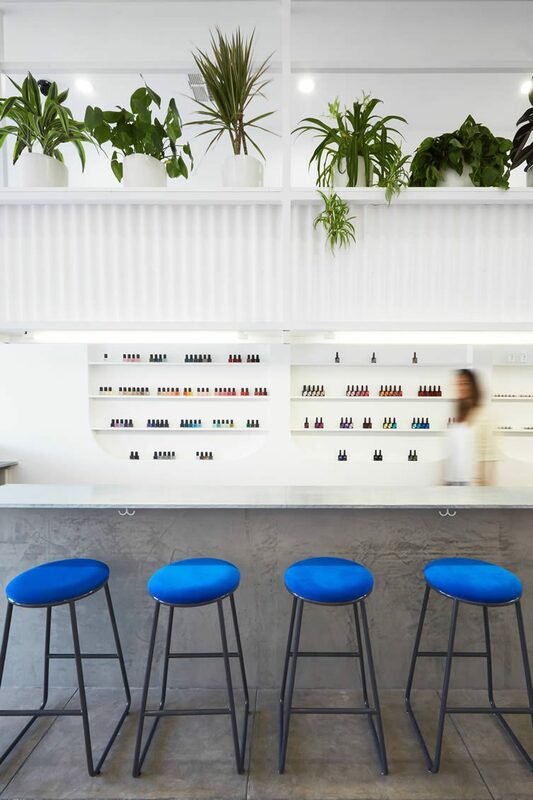 A long manicure bar takes over one side of the room, where clients and the artists can choose to sit or stand. 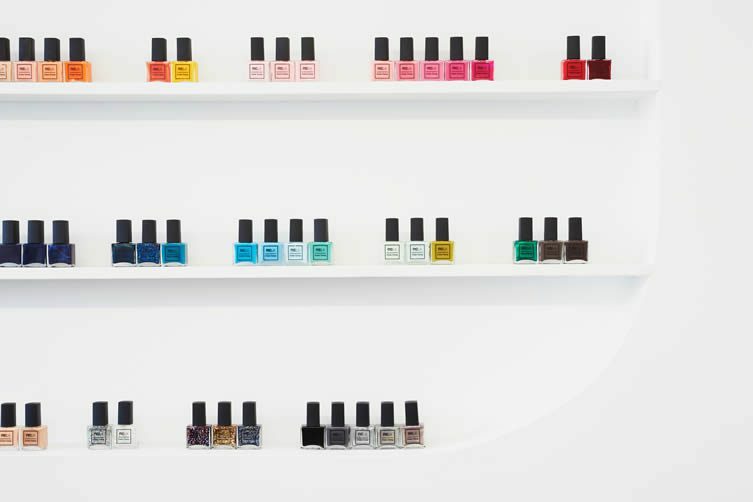 Above it lyes a hanging shelf which doubles up as storage space for tools and polishes, whilst providing lighting for the salon. 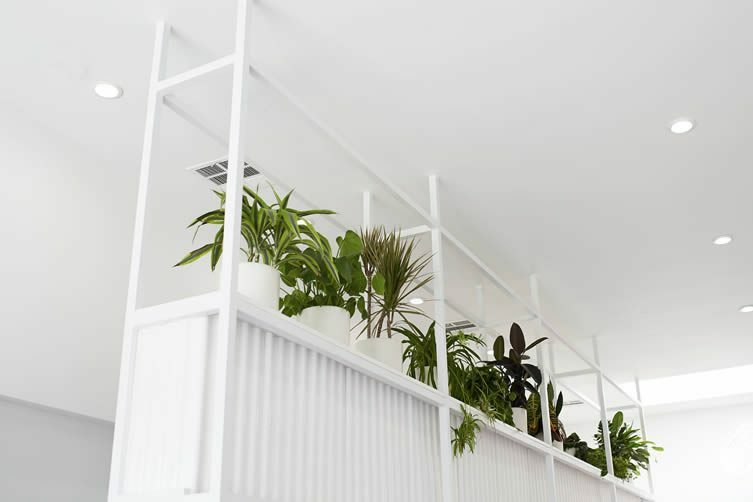 Lush greenery sits atop it all, adding a homely touch. The opposite side of the aisle features individual stations that give the illusion of hovering above ground. 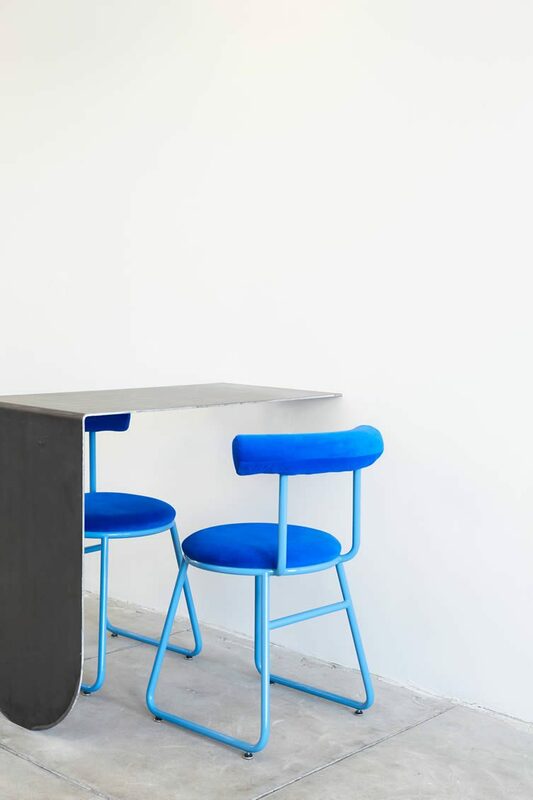 Industrial materials clash with gradients of pinks, oranges and blues. 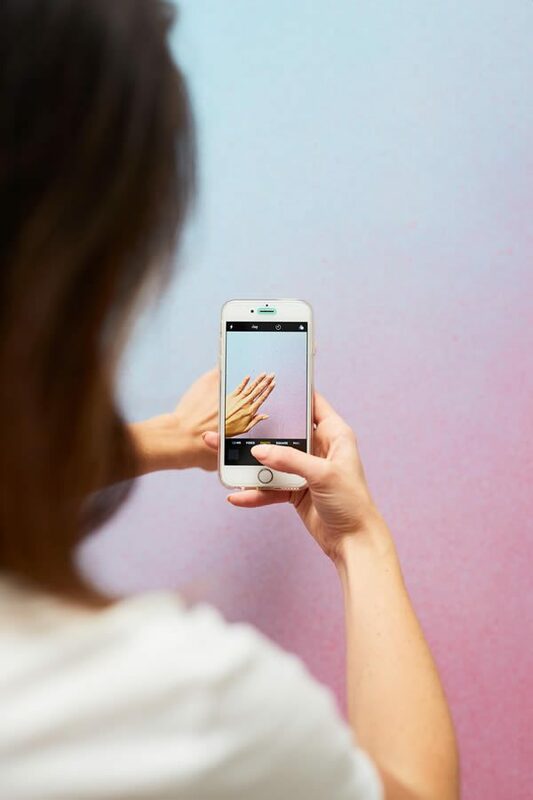 Circles, semi-circles, and convex shapes play across bolsters, tables, shelving and doorways; making this one-of-a-kind contemporary salon an Instagram-friendly statement of cool intent — a customisable nail art menu keeps client’s hands as carefully-considered as J. Byron-H and Weekday Studio’s starry-eyed space.